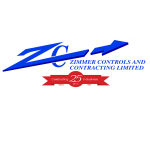 Zimmer Controls and Contracting is the premier source of quality Industrial Automation, Machine Controls and Electrical Contracting amongst the Industrial Manufacturers and Machine Building Industry of South-Western Ontario. Centrally located in Chatham, Ontario, we serve markets along the 401 Corridor from London to Windsor and beyond. With our highly skilled workforce of Control technologists and Industrial electricians, we are the ideal company to rely on for your industrial electrical needs. Our Controls group of Controls Technologists can work alongside you in new control designs, PLC program development, or the retrofitting of new technologies to your outdated control systems. Our Contracting group of highly skilled Electricians produce electrical control panels renowned within the region as the best. We can support machine wiring, or in-plant retrofit wiring projects. You can also rely on us for your industrial power distribution, power drops, plant lighting, energy monitoring and for fulfilling temporary electrical maintenance shift coverages. Call our technologists to discuss your project today. 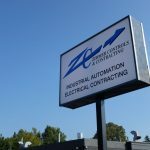 We are the premier source of quality industrial Automation, Machine Controls, and Electrical Contracting services in South-Western Ontario. Our Controls Technologists are highly skilled and are ready to help you with all of your industrial electrical needs.